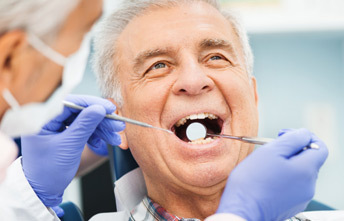 Your initial consultation with Doctor Van Maren at Bay Area Denture and Surgery Center serves multiple purposes. In addition to giving us an opportunity to get to know you as a new friend, the visit allows your diagnosis and personal treatment plan to be determined. It is an opportunity for you to ask questions about what you may expect from surgery, sedation procedures and solutions to your oral health and general health issues, such as dentures, implants, partials, mouth guards and sleep apnea appliances. Any or all of these items may be new to you, and we want to be sure that you understand all of your options and our procedures. Doctor Van Maren and his staff invite you to ask questions and we are happy to visit with you about your treatment options.